Arguably the hardest hole on the course, the drive requires a hazard carry to the edge of the dogleg. If you hit it right, get your 7 iron out to chip it back to the fairway. 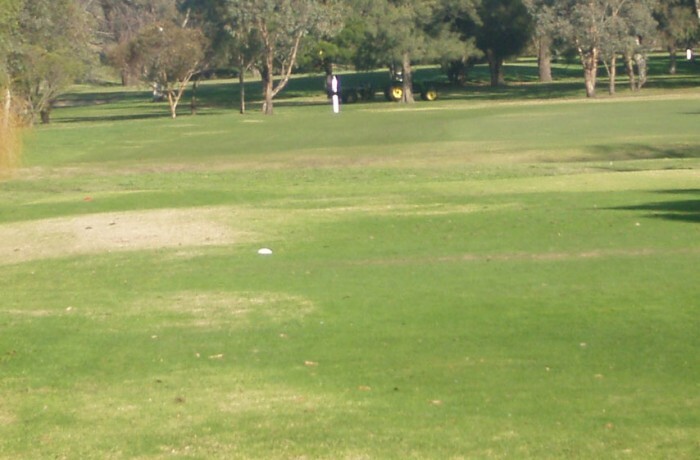 The flat green is covered left and right by bunkers, of which up and down is tough. Many good rounds have turned ugly here.